QWERTY-Tastatur (UK) mit kyrillischen Aufklebern. Der Laptop ist in gebrauchtem Zustand. Scharniere in Ordnung. Ein Kratzer auf dem Display. Tastatur und Touch mit Abnutzungserscheinungen. 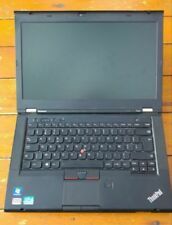 Lenovo Thinkpad X1 Carbon. I5 4300U processor. -180 Gb SSD. -windows 10 pro. -2560x1440 Screen. Storage Drive: 256GB SSD. Open Office (Word Processing, Spreadsheets, Presentations, Databases). Applicable to exports from the UK to another EU country. We dispatch worldwide. Excellent Prices. High quality products at amazing prices. Hard disk/solid state disk 128 GB SSD. Product line ThinkPad. Communication Ac LTE 4 G modem, Wi-Fi, Bluetooth. Model X1 Carbon 3rd Generation. 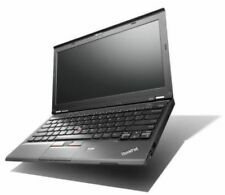 Lenovo ThinkPad Lenovo X1 Carbon i5-4300U 8GB Win 10 Laptop delgada táctil. 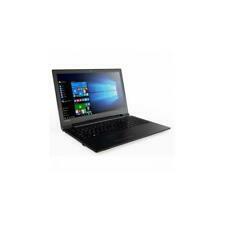 Lenovo ThinkPad Lenovo X1 Carbon i5-4300U 8GB Rams 120 SSD Windows 10 Pro Laptop Ultra-book Slim Line Touch screen. Also with a 120GB Solid State hard drive installed great for storing picture, files & movies etc. Processor - I7 8550U ( 8th generation ). Tenemos tanto productos de segunda mano como nuevos, todos comprobados y con su garantía por si algo se nos escapa! Palabras clave: Samsung Galaxy, iPhone, segunda mano, Nuevo, Huawei. 631466063 Whatsapp. Lenovo Thinkpad X1 Carbon i7 5th Gen 8GB Ram 128GB SSD WIN 10 Pro 119127 Grad..
Thinkpad X1 Carbon. SSD (Solid State Drive). Windows 10 Pro. Hard Drive Type Hard Drive Capacity This item is Grade. A Grade – Excellent condition. Get In Touch. PROCESADORCORE I7. CAPACIDAD SSD121 GB - 250 GB. 14 días de. Estamos para ayudarte. Disponibilidad: En existencia. Verifica que las fotos del producto se corresponden con la idea que tienes sobre él. Windows 10 Pro. 14" FHD 1080p display (AG matte, non-touch). X1 CARBON G6 CI7_8550U SYST 14IN 8GB 512GB NOODD W10P SP. Festplatte/Solid state disk 256GB SSD M.2. Tastatur Deutsch QWERTZ mit LED Backlit, keine Aufkleber. Zustand Display Leichte Tastatur Abdrücke,kleine hl. Modell X1 Carbon 2rd Generation. Beleuchtete Tastatur. 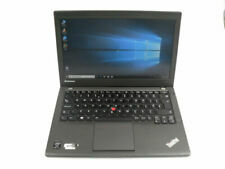 Lenovo X1 Carbon Laptop. For the average Ultrabook™ these attributes may sound like a contradiction. But the new X1 Carbon is far above average. You can rely on ThinkPad despite what life throws your way. Storage Drive: 256GB SSD. Open Office (Word Processing, Spreadsheets, Presentations, Databases). We dispatch worldwide. Excellent Prices. High quality products at amazing prices. (Our ref: B-P). Applicable to exports from the UK to another EU country. Available: Lenovo ThinkPad X1 Carbon 5th Gen 2017 Laptop (1.2Kg, Core i7, 8GB RAM). Featuring a carbon-fiber reinforced chassis, the new X1 Carbon is just as durable as its predecessor, and it features a smaller footprint making it among the lightest, thinnest X1 Carbon ever. Minimalste Spuren wie z.B. Fingerabdrücke sind möglich, das Gerät wurde gelegentlich am Abend genutzt und war als Desktopersatz mit externer Tastatur, Maus und Bildschirm in Verwendung. SSD 512GB M.2 PCIe. Lenovo ThinkPad X1 Carbon Core i5-4300U 1,9Ghz 8Gb 128Gb SSD 1600x900 Windows10. Zustand Altersübliche Gebrauchsspuren am Deckel/Handauflage/Gehäuse. Leichte Kratzer/Tastaturabdrücke am Bildschirm (im Betrieb nicht sehbar bzw. ). Utiliza cuaderno de carbono ThinkPad X 1 con i7 de Intel 4600U procesador ( 2.1 GHz), memoria RAM de 8 GB, disco duro de disco de estado sólido de 256 GB, pantalla de LCD de 14 pulgadas con una resolución de 2560 x 1440 píxeles, gráficos Intel HD, Intel 802.11 agn wireless, Bluetooth, 1 GB Ethernet, UltraNav, secure chip, lector de huella digital, batería del Li-ion de 4 c y sistema operativo de Win7 Pro 64. 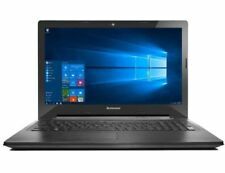 Lenovo ThinkPad X1 Carbon G6 14" WQHD HDR | i7-8550U | 16GB RAM | 1TB SSD | LTE | Win10Pro. 35,6 cm (14") 16:9 WQHD Display mit HDR (glänzend), Webcam. Staunen Sie über die atemberaubende Dolby Vision™ HDR-Technologie (High Dynamic Range), die über WQHD-Display, 500 cd/m² Leuchtdichte und 100 % Farbraum verfügt. Festplatte/Solid state disk 256GB SSD M.2. Tastatur Deutsch QWERTZ mit LED Backlit. Beleuchtete Tastatur. Zustand Gehäuse Gebrauchsspuren am TFT Deckel. Der ECHTE Spezialist in Sachen Lenovo Thinkpad Notebooks - Lap-Works.